Slate Virtual Mix Rack is a mainstay at Everything Recording HQ (Review Here), but it had a few requests for new features. Well, Slate has checked off a few of those “wants” in version 2.0. VMR 2.0 allows audio engineers to easily create the channel strips of their dreams using a library full of analog modeled plugins. Choose from dozens of modules including vintage modeled EQs, compressors, enhancers, filters, preamps, mixing consoles, and more. But even beyond the sound you can get with VMR 2.0, you also get the added bonus of speed and efficiency from having your entire processing chain in one convenient window. VMR 2.0 ships with the Mix Bundle One, which contains four Slate Digital processing modules: FG-401 Compressor, FG-S EQ, FG-161 FET Compressor and FG-N EQ. VMR 2.0 opens with your own custom dream channel strip by default. So whenever VMR 2.0 is launched the leftmost Dream Strip always loads first. Now you can instantly start mixing with the modules you use the most. VMR 2.0 comes with seven default Dream Strips, although you can remove them and make your own. You can change the vibe, color and sound of your mix with a single click and easily undo and redo your changes. You can easily see all of the processing modules installed in the Library Pane, and you just drag and drop to get them into the signal chain. You can also drag to reorder the modules as well. With VMR it’s easy to clone an entire signal chain for comparison – just press the right arrow and everything currently on path A is copied to path B. Once cloned, you can change some parameters on the alternate path, or even swap out entire modules. To A/B the signal chains against each other, just press the A or B button in real time to hear that signal chain in action. You can load up to eight modules at once into VMR, but it’s still easy to solo or mute any of the processing modules you have loaded using the Solo and Power buttons. Push the “S” on any module to hear it alone in the signal chain, and hit the “power” button to turn it off. 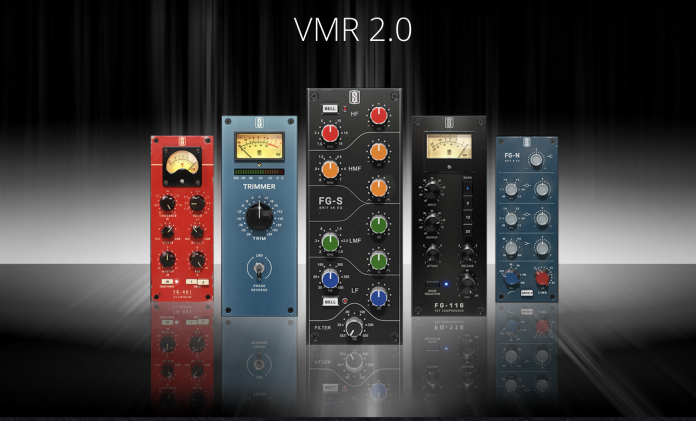 Slate VMR 2.0 is available now. From the age of eight, using my cheap Yamaha PSR-500 keyboard's 4 track limited recorder, I became fascinated with tracking audio. This quickly was sent into overdrive when my dad bought an Alesis ADAT. The rest was history. Many years later and too much money spent, I decided to use this fascination to help others. Thus, Everything Recording was born.